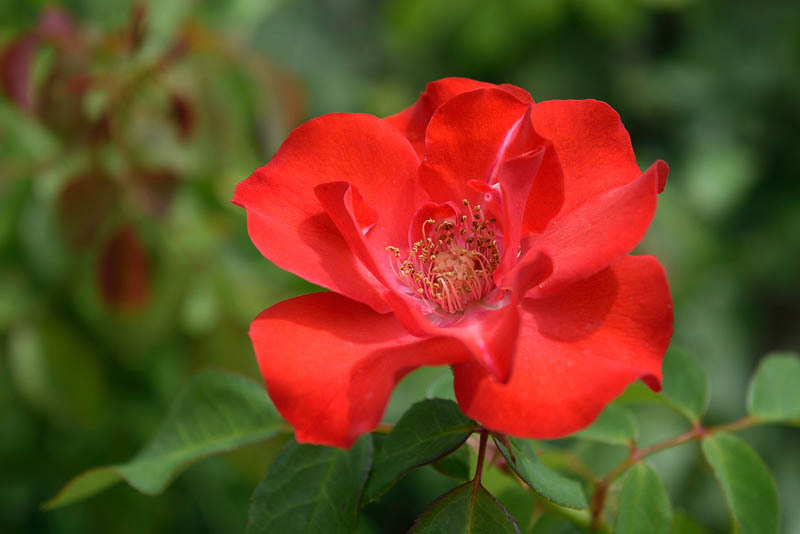 Red bloom of ornamental plant. Decorative garden flower. Botany, floriculture.